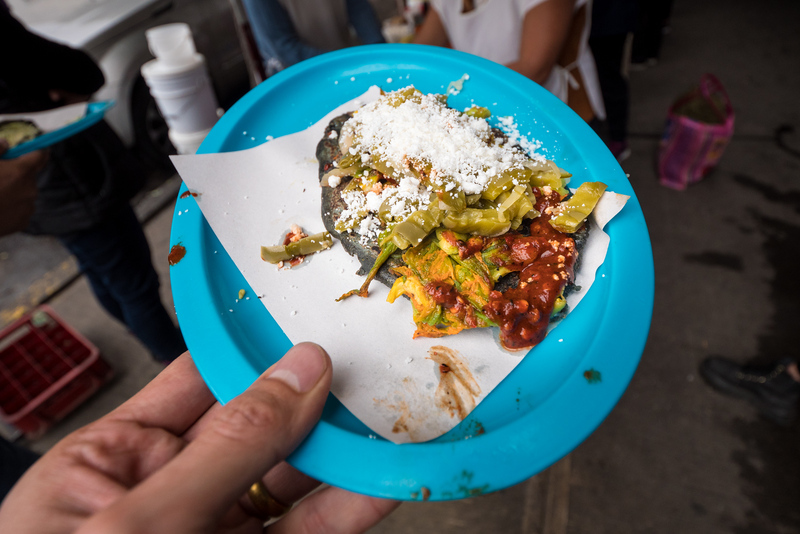 The Ultimate Mexico City Street Food Guide - Irresistible Places to Eat! Mexico City is a sprawling food paradise. In this Mexico City travel guide for food lovers I’m going to share with you the best restaurants (mostly street food) that I tried during my visit. Get ready for the most incredible Mexican food! NOTE: All these restaurants are featured in my Mexican food videos. 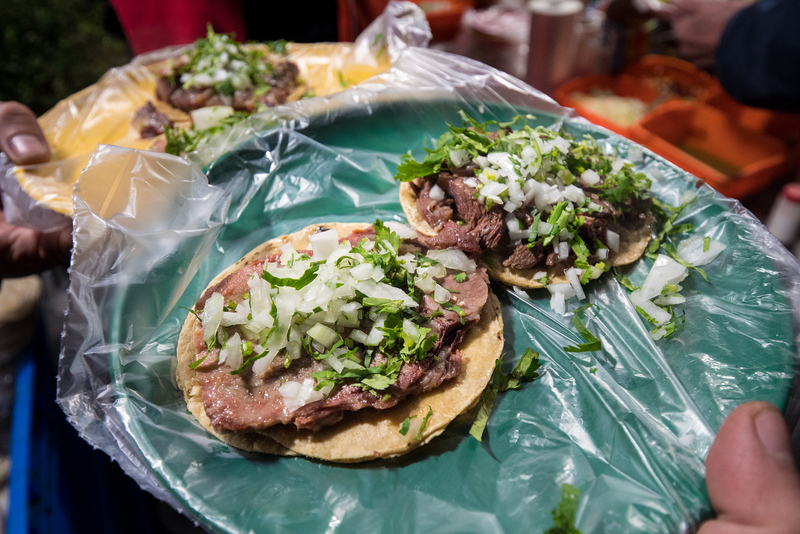 Without a doubt, Mexico City is among the greatest cities in the world for food. However, the thought of navigating this gigantic congested city can be daunting. 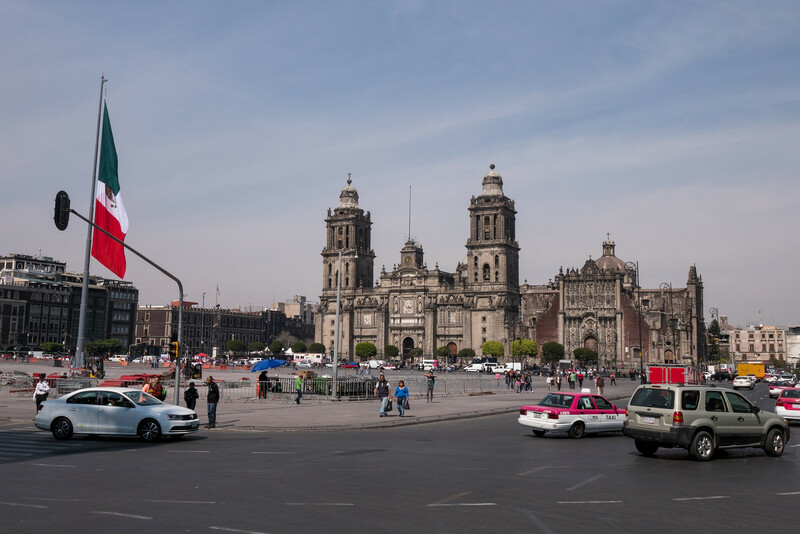 But I’m here to tell you, in the week and a half I spent prowling the streets of Mexico City searching for tacos and other delicious things, I was pleasantly surprised at how friendly, clean, and even comfortable the city is (of course, it depends on the area of the city). Along with feeling safe (I stayed in Roma Norte), the people I met and food I tasted will be something I remember forever. 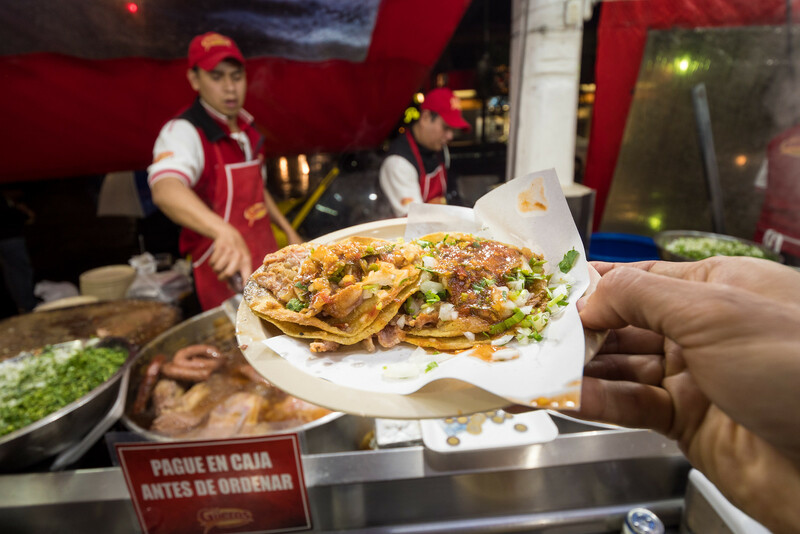 Mexico City is a food paradise – you’ll find street food on nearly every corner of the city, and an endless quantity of restaurants serving regional Mexican food from every part of the country. In this list of best restaurants, I only included places I tried and can recommend personally. Most of them are street food. Most of the recommendations in this Mexican food guide are also included in my series of videos. El Vilsito is one of the most famous taqueria’s in Mexico City for a reason – their Al Pastor is on another level. 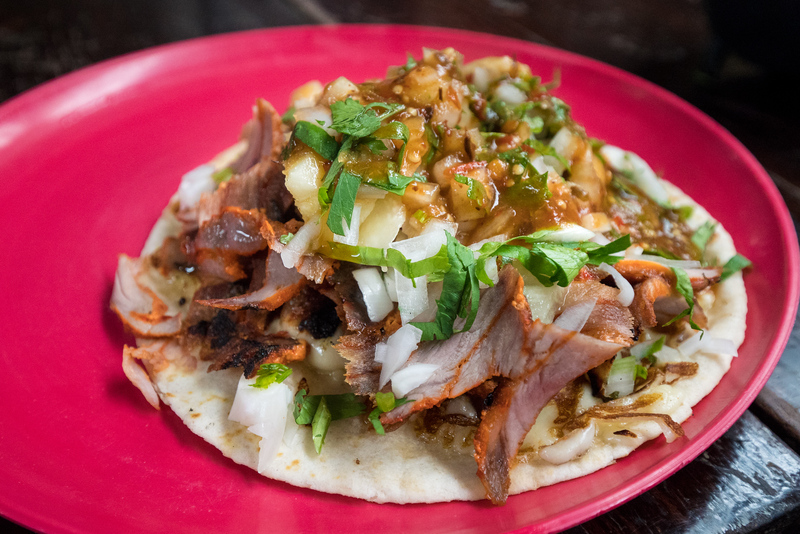 Marcos, the Al Pastor master, has been shaving meat off the trompo for over 18 years, and he’ll serve you one of the best tacos al pastor you’ll ever taste. I tried a Gringa, a flour tortilla with cheese, al pastor meat, and pineapple on top. It was a life-changer. This is a Mexico City tacos institution that my buddy Lalo from La Ruta de la Garnacha took me to when we were on our ultimate tacos tour of Mexico City. 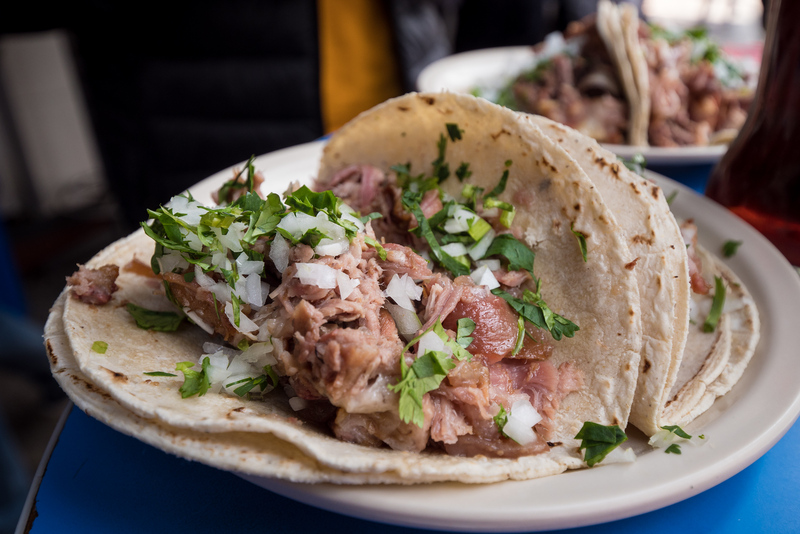 While Taqueria El Abanico has the full works of different tacos, their carnitas are the best. Yes, you will eat a lot of tacos when you’re in Mexico City, they never get boring. Taqueria Los Güeros again serves all sorts of tacos, but we tried their tacos de tripa, slow cooked pork intestines fried and sizzling on a tortilla. Amazing. 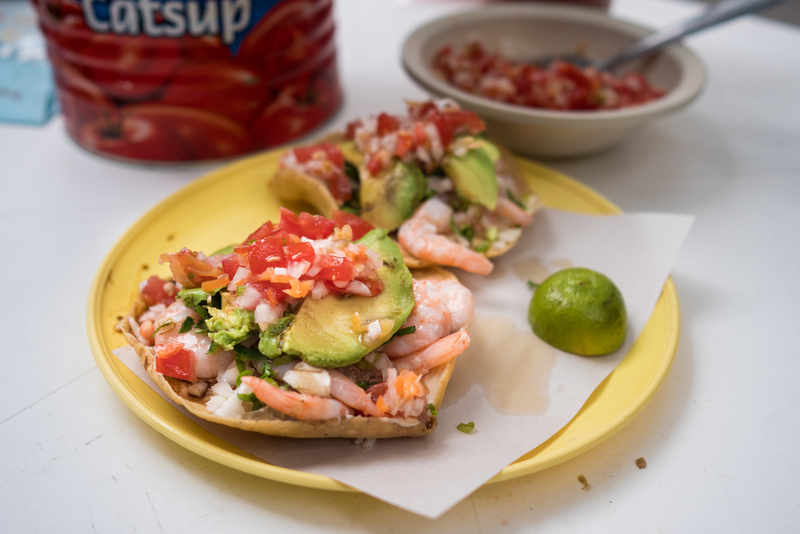 Originating from Hermosillo, in the northern state of Sonora, El Pescadito de Sonora is a Mexico City restaurant that serves some of the greatest fish and shrimp tacos you’ll ever taste. Get the tacotote, chili pepper, marlin, cheese, and shrimp. This is a street food stall Lalo brought me for excellent tacos again. Their Al Pastor and their tacos de cabeza are the champs. A fantastic neighborhood street food tacos stall. 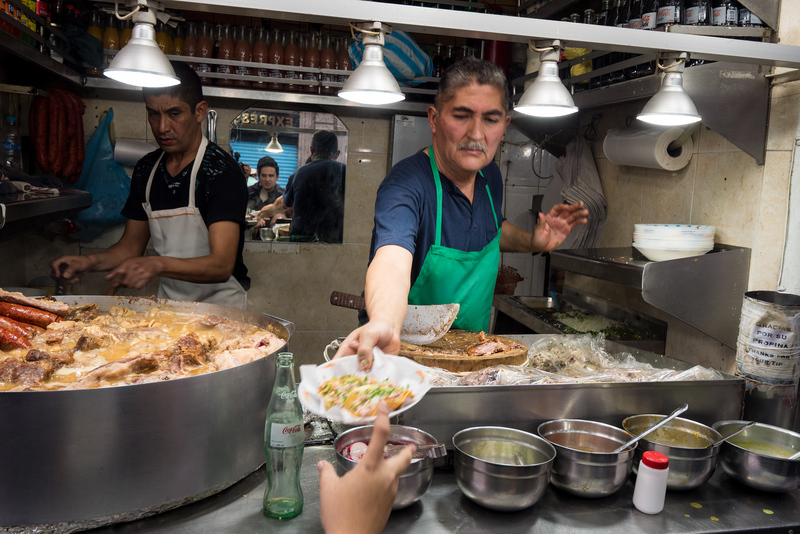 Located in the center of Mexico City, Los Cocyuos is a closet sized taco stall window. He serves a mix of different tacos including all sorts of cabeza and suadero. They are small in size, but delicious. 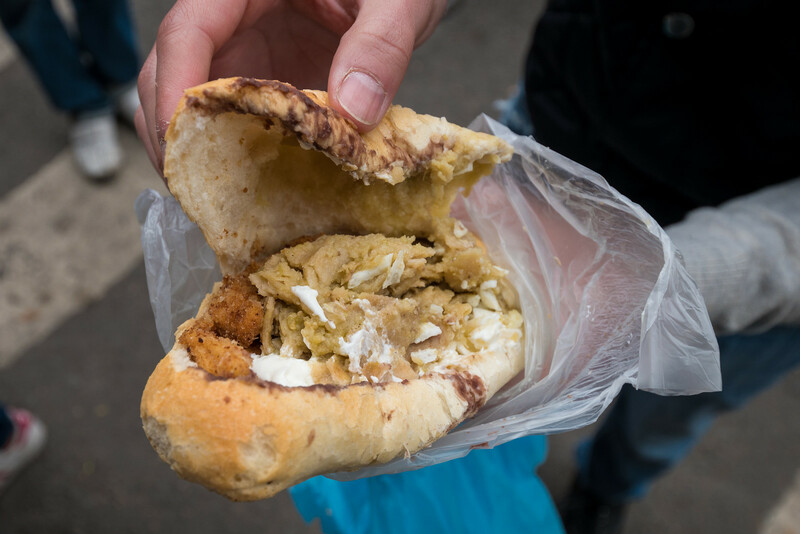 This legendary Mexican street food stall in Condesa serves tortas, sandwiches filled with fried chicken cutlets, chilaquiles, and loaded with salsa. It’s quite heavy to eat, but so good. I went with the salsa verde. 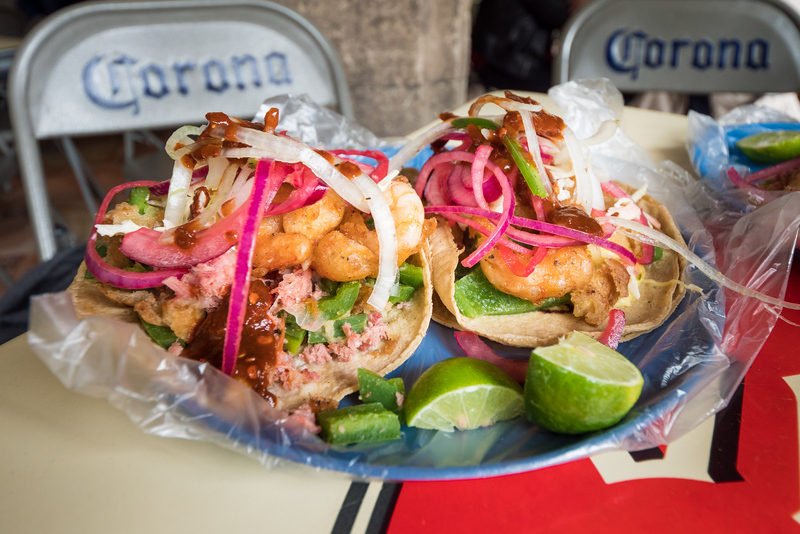 This simple Mexican street food stall serves all sorts of mariscos. I tried a couple versions of their seafood tostadas, but after tasting their shrimp tostada, I was so happy, that I didn’t want to try anything else. Their shrimp tostadas are dream-worthy. This is another awesome little Mexican street food spot, where lots of neighborhood locals are regular customers. 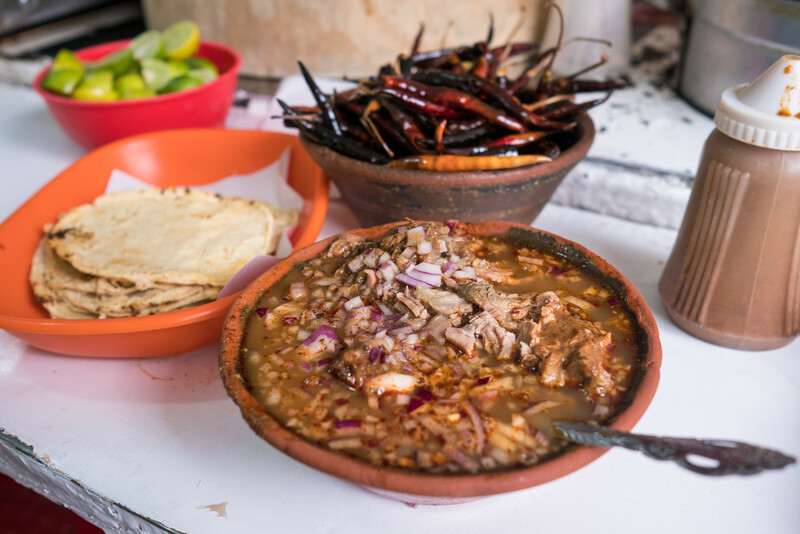 The friendly owner makes Jalisco style birria, a meat stew that’s packed with flavor. Though often made with goat meat, he told me his version is with beef. Walking around where I was staying in the Roma Norte district of Mexico City, this particular corner was always buzzing at lunch with customers ordering blue corn tlacoyos and quesadilla, as well as tacos de guisados. I don’t think you can order anything wrong here, but their tlacoyos are incredible. 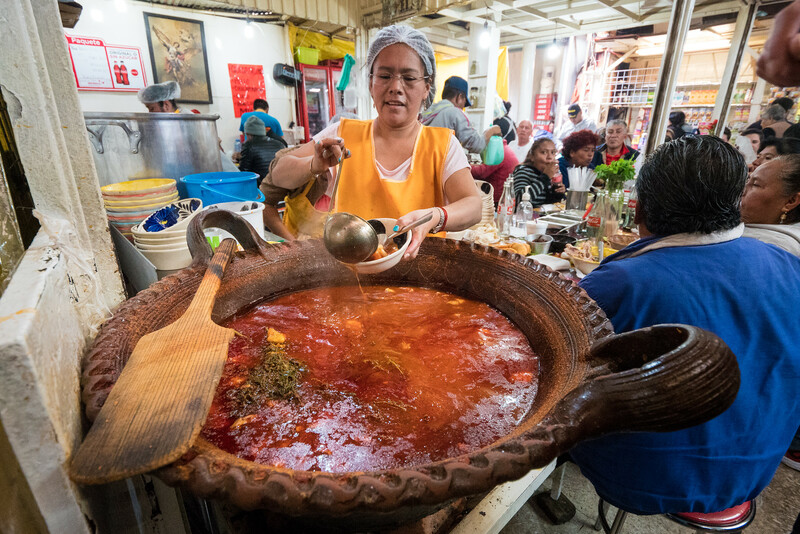 One of the biggest and most vibrant central markets in Mexico City is Mercado La Merced, and you’ll find a bedazzling display of all things Mexican food. Take a walk in the food section for a culinary adventure that you’ll never forget. Thanks to Eater for this recommendation. Los Sifones is a real family style Mexican restaurant that serves outstanding food. 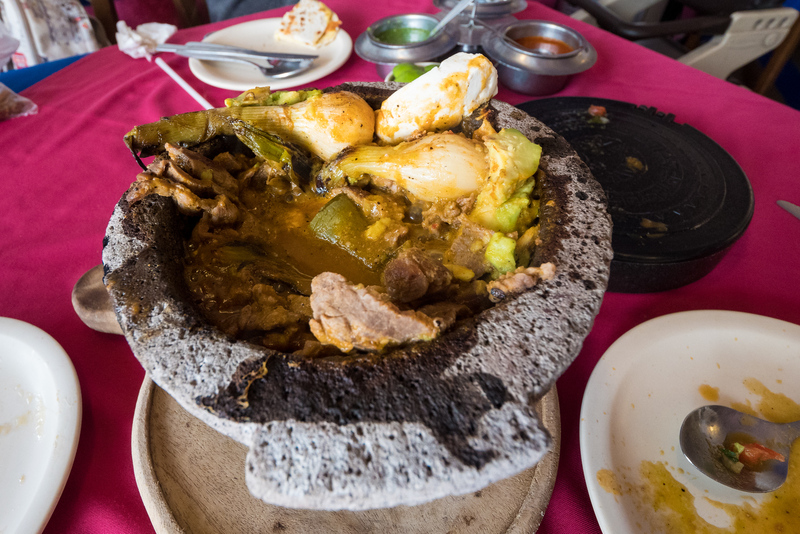 I went there particularly to try their molcajete caliente, a stone mortar sizzling with meat, cheese, lava salsa, and avocado. It was a stunner. 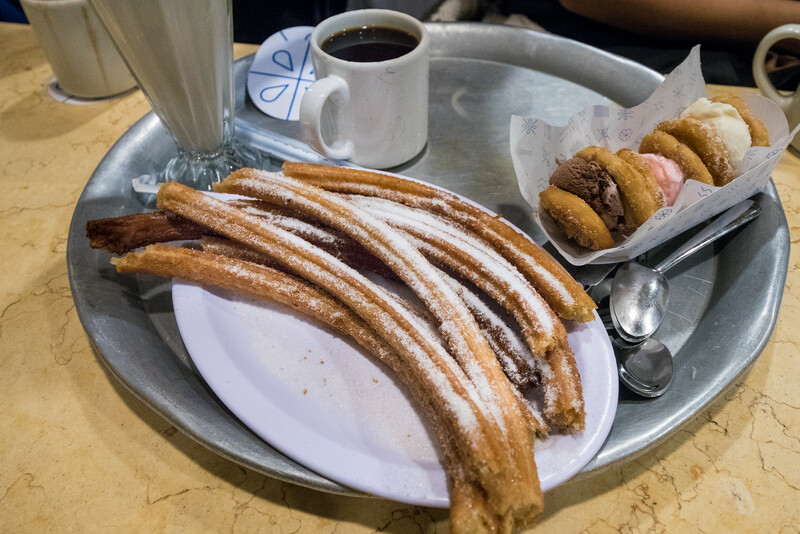 Churrería El Moro is by all means the most famous place (maybe the best) to eat churros in the world. Yes, they were spectacular. And you can enjoy them 24 hours a day. I’m not big on sweets, but a few of their churros were irresistible. Be sure to watch the full list of Mexico food videos here. You have plenty of options when it comes to accommodation in Mexico City. Since having a baby, my wife and I usually stick with apartment rentals, because we have more space. For our trip to Mexico City, I rented an apartment in Roma Norte on Airbnb (you can click this link to get $35 off your first booking), and we had a fantastic stay. Roma Norte is a safe, trendy, and very pleasant to walk around, neighborhood in Mexico City, and it makes a perfect base. Read more about Roma Norte on my friend Jeremy’s blog. El Centro – Mexico City! When it comes to food, one of the greatest things about Mexico City is that you’ll find Mexican regional food from around the country. From five star high end restaurants to family eateries to street food stalls on every block in the city, Mexico City is a food paradise. 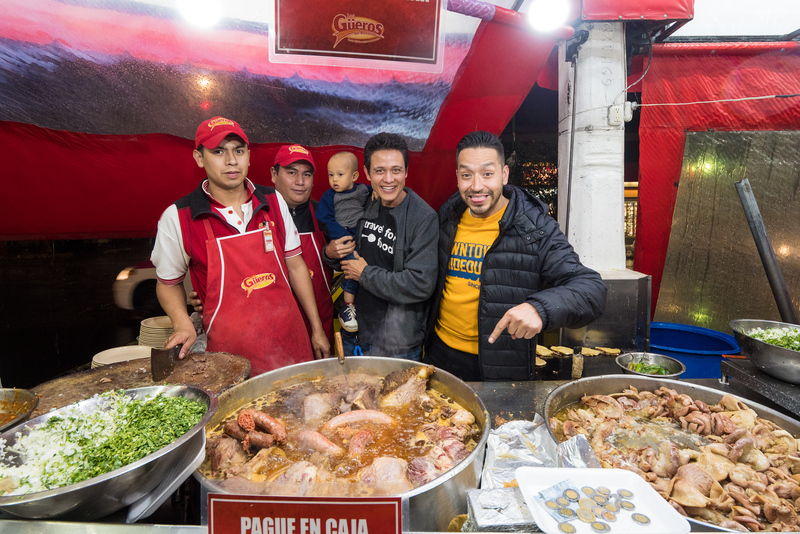 I focused much of my time and stomach on street food in Mexico City, and I was happy and excited everyday. Hope this Mexico City travel guide gives you some ideas about things you must-eat when you’re in Mexico City. Thank you for reading! Camera gear I use: I filmed all the videos and photos using a LUMIX GH5and this main lens and microphone. You can see all my gear here.